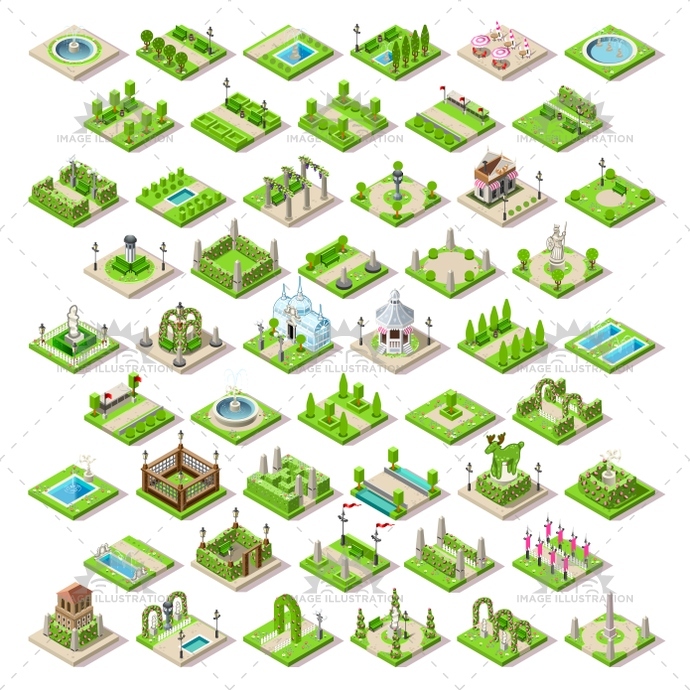 Stock product - detailed vector illustration - Isometric Building Collection - Game Set 13 - created by Aurielaki. Image formats EPS AI JPG. SKU: Game-Set-13-Building-Isometric-AurielAki. Categories: Isometric Building Icon, Isometric Park Icon, Urban Furniture Vector Set. Tags: 3d, alley, arch, backdrop, background, bench, border, can, central, city, cute, entertainment, footpath, fun, furniture, game, garden, gate, grass, green, hedge, icon, illustration, isometric, lamp post, landscape, map, mini, miniature, nature, park, path, pattern, playground, puzzle, retro, road, scene, spring, stuff, tile, town, trash, tree, urban, vector, walk, way.